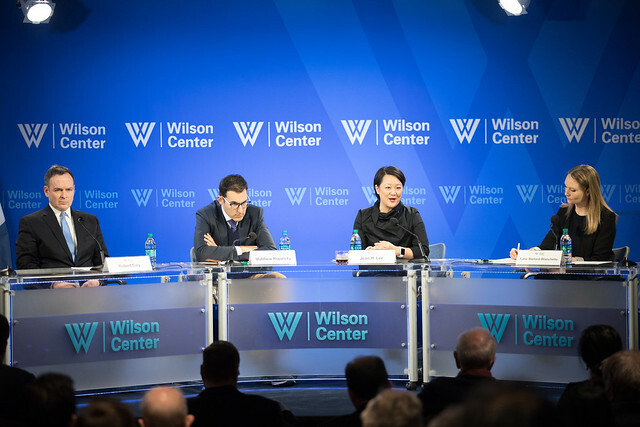 Read a recap of the second panel discussion on the Asia Dispatches Blog. “For anyone who follows Northeast Asia, you are well aware that at the moment, ROK-Japan relations are weathering a tough period. And as an ally and friend to both countries, we believe that now, more than ever, it is critical to ensure that there are strong and close relationships between and among our three countries. And this is particularly necessary in the face of shared challenges posed by the DPRK and China... The United States has always pursued ways to strengthen relations between and among our three countries, and we are continuing to do so, although it may not always appear in the press. And I am confident that we will get through this period and remain unified." “There is a wider shared view that denuclearization probably means the complete elimination of the nuclear weapon capabilities. If we set this as a goal for the forthcoming negotiations, then it cannot be achieved in one phase." "The impasse reflects a persisting tension in U.S. policy — whether the objective toward “rogue” states should be to change their regimes’ behavior or to change the regimes themselves. Should nuclear diplomacy be transactional, focused narrowly on the discrete nuclear challenge, or transformational, comprehensively addressing these regimes’ objectionable behavior?" Read a recap of this discussion on our blog.